In this section we apply the patterns based on the use cases. The goal of this section is to focus on the realized patterns, not the process from which we arrived at the pattern selection. The approach we take is to show the pattern framework and then the realized pattern framework. We define a pattern framework as a set of patterns commonly used in combination to solve a problem. 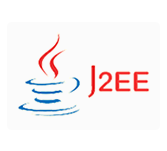 We are confident that as you see these examples and begin applying the J2EE patterns to your solutions, you will be able to quickly identify the proper patterns.